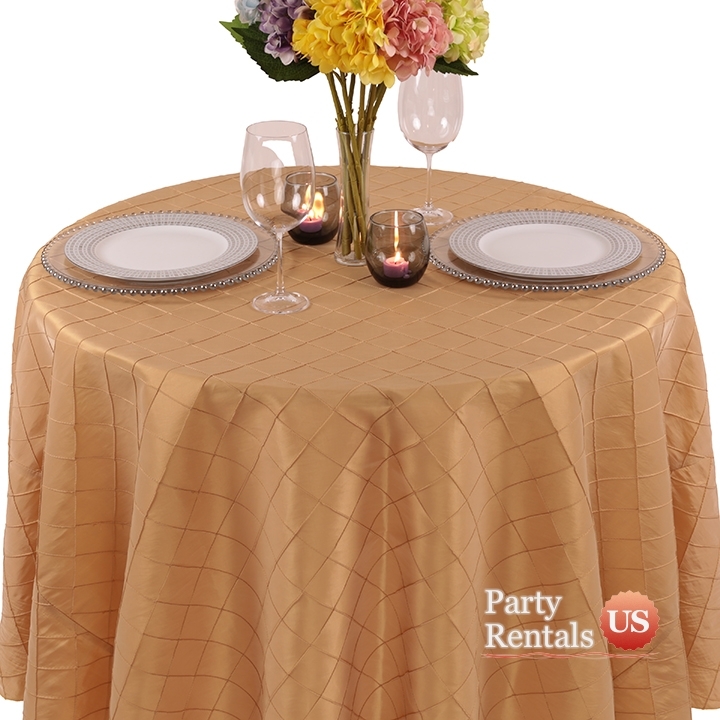 When you want more than a solid tablecloth appearance, consider our "Taffeta Pintuck" design. The glazed diamond pattern will add elegance to any affair but will not detract from the decor. Although taffeta is usually stiff, this material is very pliable and will drape your tables with class.